As I listened to this song, I was annoyed slightly by what I felt was incorrect theology. It sounded suspiciously like the “get saved and do whatever you want” false teaching. Suddenly, I realized that I had been missing something. Perhaps I should explain my background a bit. I come out of Mennonite stock, and firmly believed in Arminian-style theology. In other words, I believed that it is possible for a Christian to backslide and go to Hell. And even now, I do still believe that those who turn their backs on God and walk in disobedience and disbelief will not go to Heaven unless they repent. But as a teenager and into my adult years, I possessed a very unhealthy fear of God. Many was the night when, as a young teenager, I remembered some small offense while lying in bed, and got up to ask my parents’ forgiveness—because I was afraid that if Jesus came back during the night, I wouldn’t go to Heaven. Obviously, part of the problem was an incorrect belief that God wouldn’t forgive me until I apologized to my parents. But it went much deeper, especially in later years. 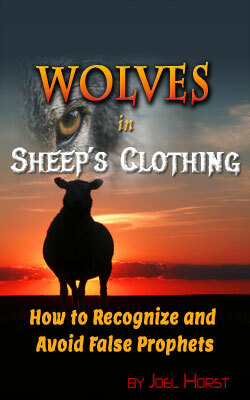 There was a root problem: I believed that I only remained righteous as long as I did nothing wrong. If I did something wrong (maybe not even sin, exactly, but a personal offense), I was no longer righteous until I apologized. Furthermore, I also believed that it was my job to remain close to God. God wanted me to follow Him, but if I strayed away, He would go on without me. I might get to Judgment Day and end up going to Hell for some sin that I had forgotten about. Or, I might get to stay in Heaven, but God would be displeased with how I had lived my life and would cut my eternal rewards. In short, I believed that God had saved me from sin and enabled me to walk in righteousness, and was currently giving me some measure of grace, but it was my job to work hard to keep following Him. I believed that my salvation was, in part, by my own efforts. God got me through the Narrow Gate; now it was my job to walk the Narrow Way. And I didn’t believe that He is the basis of my righteousness. I firmly believe that there is one, and only one, real solution to spiritual abuse: learn to know God as He really is. That’s how it was for me. It was three and a half years ago that I realized I had grown up in a cult—a realization that didn’t fully sink in until very recently. 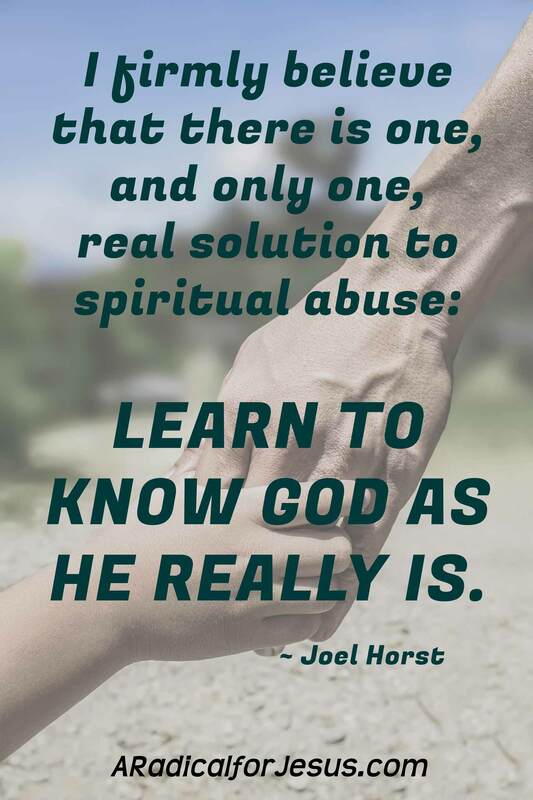 This realization shook me to the core, and started me on a journey to learn to know the real God. On that journey, I came to discover that He is not harsh and uncaring; that He loves me deeply and chose me to be one of His children before the world began; that He wants and desires me. The All Sufficiency of Jesus Christ is proclaimed throughout the Scripture, “By His doing (God’s) you are in Christ Jesus, who became to us wisdom from God, and righteousness and sanctification and redemption, so that, just as it is written, “Let him who boasts, boast in the Lord.” I Corinthians 1:30-31. When God declared Jesus Christ as “all sufficient” for the believer in Christ, what could any Teacher offer from his own creative work or production of additional instructions from the wisdom of man and the precepts of man that could possible add to what God has already provided in Christ alone? The statements of Scripture are straightforward about God’s work in our coming to spiritual life as well as His direct work in each of our lives to develop our spiritual growth as He has in mind. Even so, we too often skip over the declaration of God’s direct hand in bringing us to life and to maturity in Christ. Because of the unusual characteristic of it being FREE, no charge, no work required, the grace of God is difficult to accept without the temptation to add what we can to the transaction so that we have contributed some effort, able to measure some merit of our own, making even some small contribution to the relationship with God. I highly, highly recommend that you read this document in full, especially the second half. I now turn to those who, like me, do not believe in “eternal security” or “once saved, always saved” theology. We may have done some good in countering the attitude of “I’m saved, now it doesn’t matter what I do”. But I believe that we have often ended up in opposite and equally deadly error. Failing to teach people that they are cleansed, made righteous, and made holy by God’s power, and only by God’s power; and/or rejecting, consciously or subconsciously, scriptures such as Philippians 1:6, 1 Thessalonians 5:23-24, and 1 Corinthians 1:8, which teach that “he who began a good work in you will complete it until the day of Jesus Christ”; and/or teaching that doing certain things, including obeying God’s commands in the New Testament, will make the doer righteous. In short, we have failed to teach people that they are flawless because of God’s work, and that they remain flawless because of God’s work. So you have been born again. 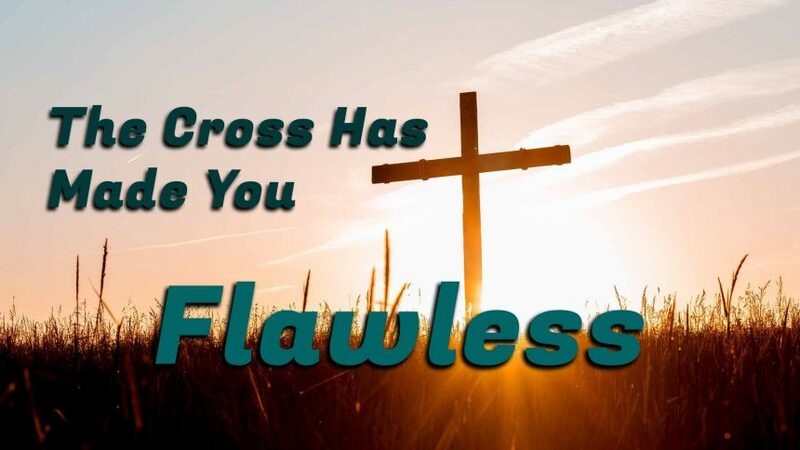 You know that you believe in Jesus, you know that you have accepted Him as Savior, yet you feel far from flawless. Maybe other people think you’re pretty good, but you know that, down inside, you’re not. On the other hand, you might get plenty of reminders from some people that you’re not very great. You want victory, you want passion for God, and yet you feel helpless. Pingback: Jesus Only Died Once. So Did I.